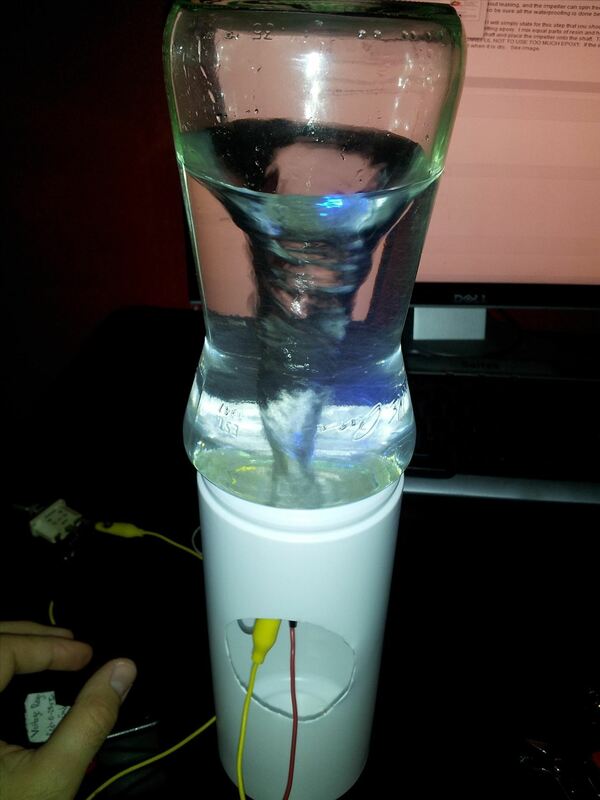 We've all seen the classic tornado-in-a-bottle science experiment, which uses 2 two-liter bottles to create a whirlpool effect. This version requires you to get the tornado started yourself by spinning the bottles, but what if you want to make it fully automated? 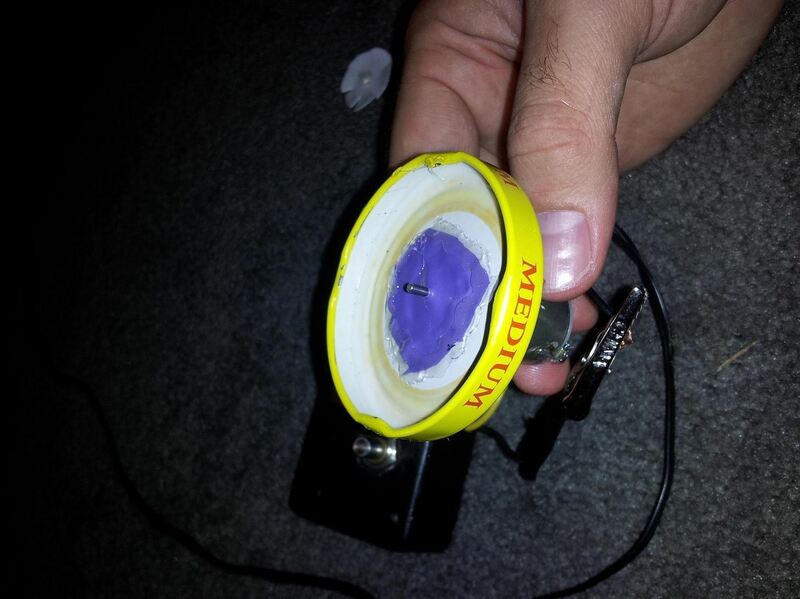 Instructables user ixisuprflyixi did just that by attaching a small motor to his Tornado Machine. 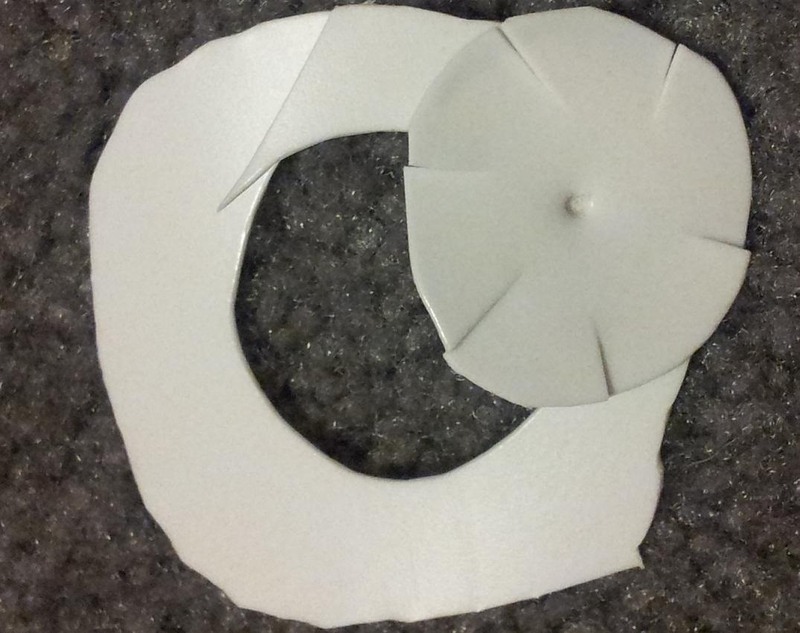 Using two bottles, one made of glass and the other of HDPE, he created a vortex by attaching a small electric motor and using a piece of the HDPE container to make an impeller. A balloon and some hot glue acts as a waterproof membrane between the two containers. The LEDs are an optional step, but they do give it a pretty cool effect. Check out the video to see it in action. Much more impressive than the ones from middle school science class. You can find the detailed step by step process along with tons more photos over on ixisuprflyixi's tutorial.